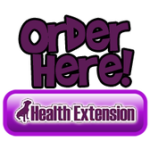 Health Extensions Dog Food and Health Extensions Vitamins must be fed to puppy for its entire life along with 1 other supplement of your choosing. 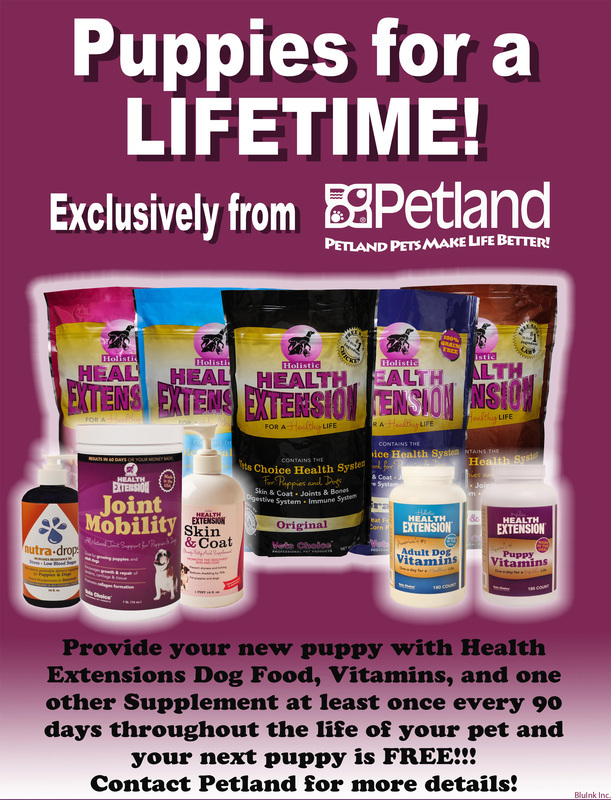 This includes Health Extensions Joint Mobility, Nutridrops, or Healthy Skin and Coat. You must make these purchases from the Petland from where you purchased your puppy once every 90 days. These items can be purchased at the store or shipped to your residence.